Producer Jeffrey Seller, Dallas Summer Musicals, and Broadway Across America announced today that tickets for HAMILTON will be available online through Ticketmaster Verified Fan®, on Friday, December 14 at 10:00 AM CT. Verified Fan is a new fan-facing technology from Ticketmaster that allows pre-registered fans to unlock access to tickets without competing against scalpers and bots. Ticketmaster Verified Fan® registration begins now and will close Sunday, December 9 at 11:59 PM CT. Visit verifiedfan.ticketmaster.com/hamiltondal to register. Those who registered will be notified by Ticketmaster via email on Thursday, December 13 if they have been selected for the Verified Fan on sale. The Ticketmaster Verified Fan® on sale will be available for purchases online only. There is a maximum purchase limit of four (4) tickets per household for the engagement. Tickets range from $75.50 – $195.50, with a select number of $550 premium seats available. Prices do not include taxes and fees. There will be a lottery for forty (40) $10 seats for all performances. Details will be announced closer to the engagement. A limited number of tickets will be available at the DSM Box Office located at the Music Hall at Fair Park starting at 10:00 AM CT on Friday, December 14. Prospective tickets buyers will need to register for an access code through Ticketmaster’s Verified Fan® system. Those who are verified and selected will receive an access code that unlocks the opportunity to purchase tickets via the Verified Fan on sale. If you have been randomly selected to receive a code it will unlock the ability to access tickets. However, tickets are available on a first-come, first-served basis and are not guaranteed. Registering for the program does not guarantee that you will receive an access code for the Verified Fan on sale. 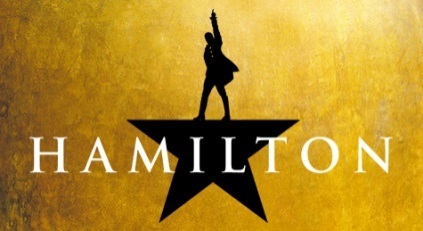 Go to verifiedfan.ticketmaster.com/hamiltondal December 3 through December 9 and connect your Ticketmaster account to register.